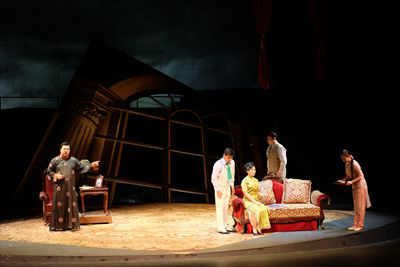 On the evening of August 12, Shanghai Opera House presented its original opera Thunderstorm in London Coliseum. 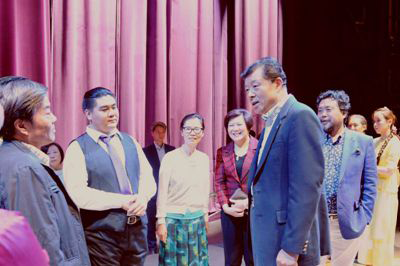 Chinese Ambassador to the UK Liu Xiaoming and Madam Hu Pinghua, together with an audience of over 1000 from different countries, watched the performance. Thunderstorm, one of the best known works of Chinese playwright Cao Yu, is one of those milestone pieces in China's modern literary history. The opera adaptation of Thunderstorm drew on traditional singing technique of western opera while adopting the music structure of Chinese traditional opera and folk music elements. Thunderstorm debuted in Shanghai in 2006. The performance in London is its overseas debut ten years after its creation. It is also a new initiative of Shanghai Opera House in recent years to promote the best of Chinese artworks in Europe through persistent market operation. The cast, consisting of mainly young people, gave an emotional and powerful performance to present the dramatic conflicts and tensions of the story without losing the fine details. At the end of the show, the audience gave enduring and resouding applause. 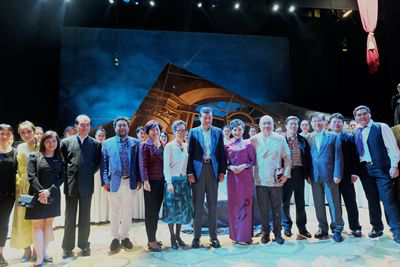 Ambassador Liu visited the cast after the performance and congratulated them on the success. He said that President Xi Jinping's state visit to the UK last year ushered in the "golden era" for China-UK relations. This year marks the beginning of the "golden era", and the two countries will commemorate the 400th anniversary of the passing of Tang Xianzu and William Shakespeare, drama masters of China and the UK. Against such a special background, the Thunderstorm was brought to the UK. This would not only add more splendors of the China-UK "golden era" and commemorative activities, but also would add a new chapter to China-UK cultural exchanges. Ambassador Liu hoped Shanghai Opera House could make continuous efforts in presenting more wonderful shows to spectators all over the world. The opera Thunderstorm is one of the "Shanghai Season" activities in London held by the art center of Shanghai Opera House. It will be on for 4 hights in London Coliseum from August 11th to 14th .